Today is Leap Day! 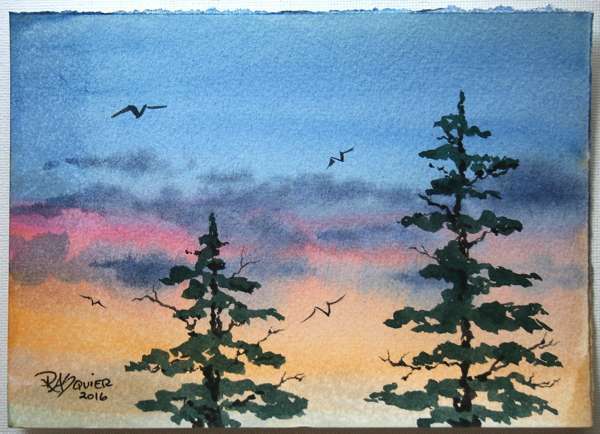 It is also Day 29 of my Painting A Day Challenge for the month of February 2016 ... the last day of the challenge. 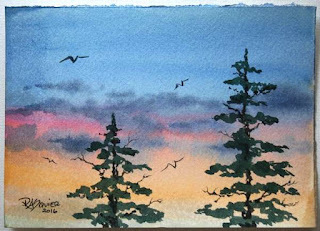 Sunset Trees brings an end to this challenge. My next challenge is to get all of these 5x7 inch paintings up for sale on either my website or in my Squier Etsy shop. Contact me if there is a particular one you are interested in purchasing.